Waist Beads, also known as belly beads, have traditionally been worn by African women for over 3000 years. In Egypt, waist beads were worn by most women and can be seen on dancers and servants in ancient wall reliefs. In Africa, a bead is rarely a simple ornament. Beads are worn visibly as a sign of status or hidden as an invisible, yet perceptible, signal to a husband or lover. Not only do they symbolize a woman’s progress in life, but they honor her sexuality as well. For some, waist beads possess intimate appeal and can provoke desire and heighten a woman's allure. Many women used waist beads as an instrument of body shaping, alerting you to weight loss and/or weight gain. When you add stones, waist beads take on healing qualities; depending on the ailment or what needs to be enhanced (i.e. love, intuitive powers, balancing). Ranging from rites of passage to enticing your husband, to healing and rejuvenation, the art of adorning oneself has been practiced since the beginning of time. 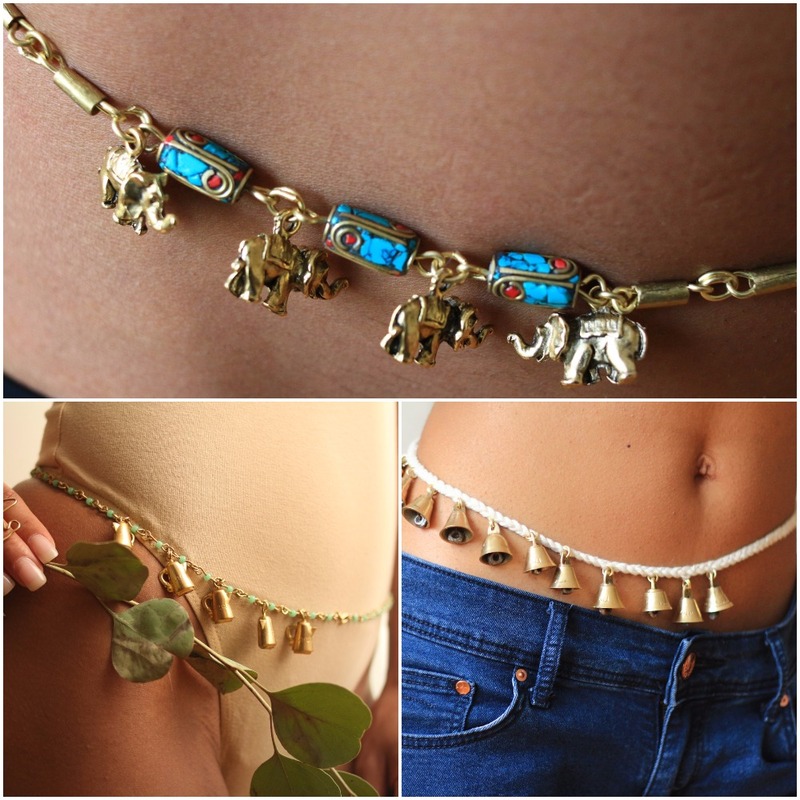 It is only now in modern times, that waist beads are becoming more visible. Pants are getting lower, tops are getting higher and women are showing more skin than ever. Not to mention summer is right around the corner and it's already bikini season, so why not adorn your blank canvas with beautiful beads.